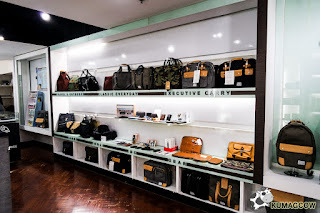 It's been a journey, to mostly find an apt place to find a classy, luxurious but very useful man bags in the Philippines. It's a young concept, to think of a "carry" culture in Southeast Asia, but it is happening. To even think that it's manly to call it a "man" bag must have raised the eyebrows of a lot people, but it all comes to function, to reliability, priorities, and of course looking good. Anybody in their right mind shouldn't always call it hipster, but you're free to call it that. 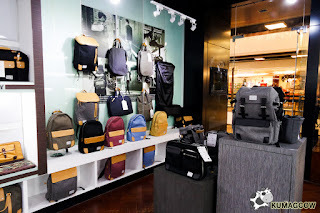 Then when we visited a store called URBAN TRAVELLER & CO. at the 3rd Floor of Greenbelt 5 a few days ago, I just felt I was in man bag heaven! 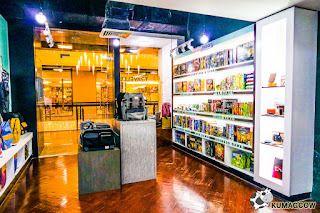 This is their pop up store and they've got another one in Power Plant Mall in Rockwell. You might think it's a little intimidating, but really it's a one stop shop for all things you'll love as a man, or for your man. Now I know it's the holidays and if you haven't thought of a gift for a guy friend, a loved one or relative, this place will not only give you the answers, but may just confuse you because there's a LOT of them here! 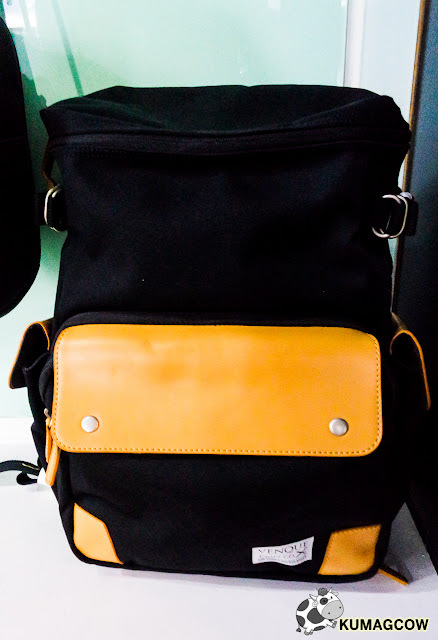 It's already curated, so you're assured that the only things that are inside the show are already hand picked items that has passed the standards of the Urban Traveller Co. management, who themselves have been using these products. Designer brands from all around the world, it was bound to be good and I took the liberty of taking photos of some of the best! 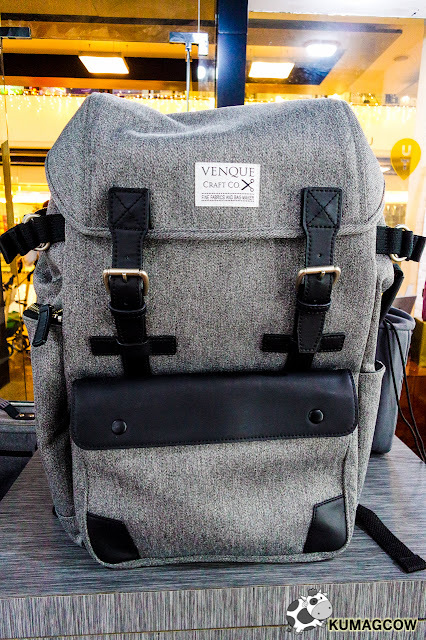 Now I beg your pardon for not taking mental notes of the bag manufacturer, but I think this is from Venque. 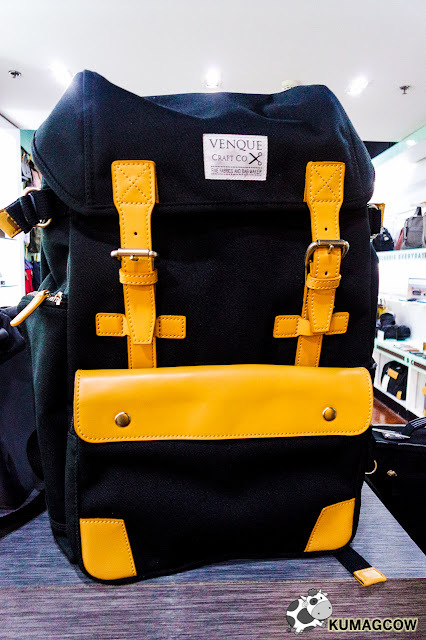 It's a travel and accessories brand from Toronto, Canada. What I like mostly from this bag is that it's not your run of the mill knapsack. 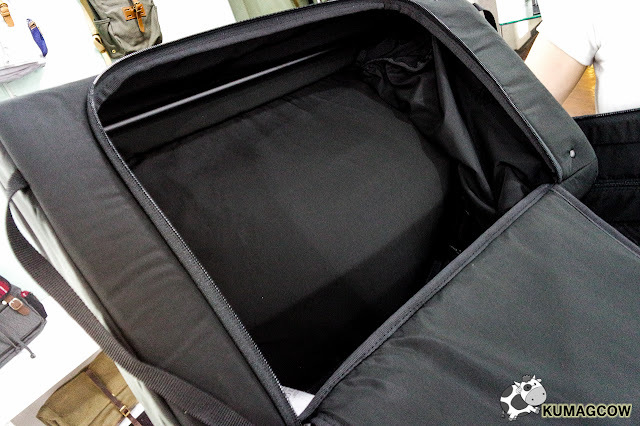 It's different in construction and feels like a handy duffle/duffel bag made of strong fabric. Now all you need to do is carry this around with a huge beard, a beanie and perhaps some really cool leather boots. Now this one is a little special. 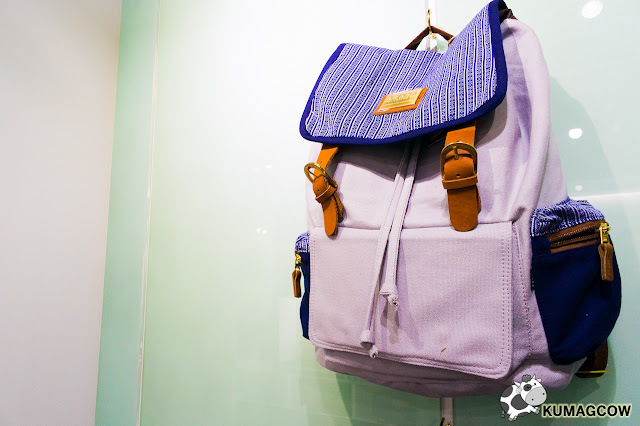 It's from a brand called AKABA, a bag made in the Philippines. Nope, you're not seeing things. 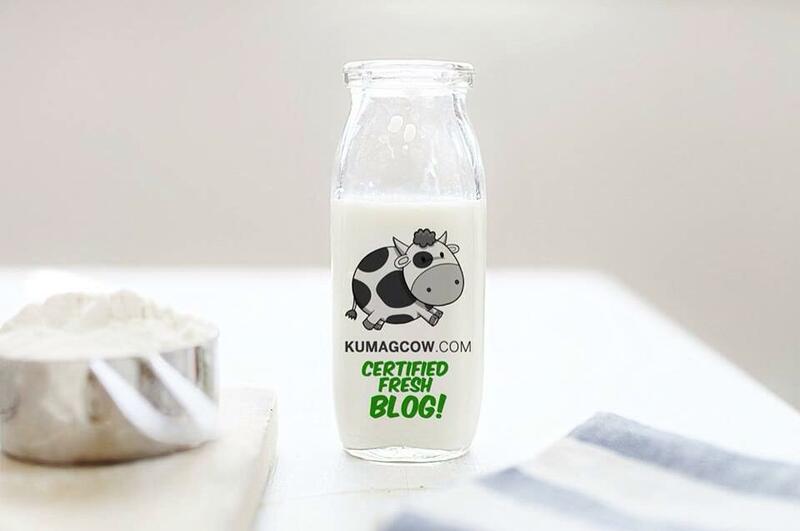 I actually have come across them several times in blogging events and they've been really good at making people know about the communities they help. If you notice the flaps on this one, they're made of indigenous fabric made by natives of Mindoro. They also do it in different parts of the Philippines like the ones in the north, even down south in Mindanao. Think of the lives you help improve just by patronizing this one eh? 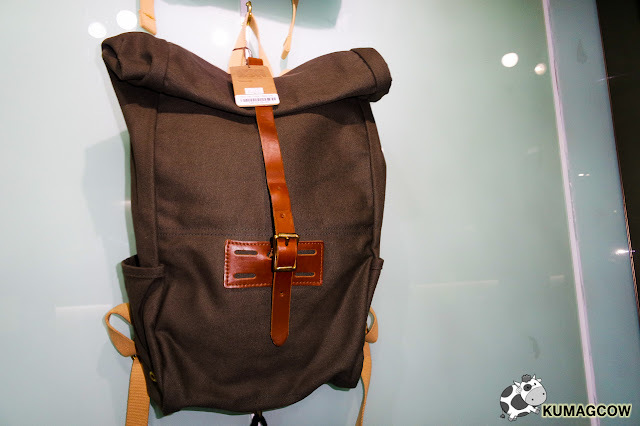 Plus it's a great heritage rucksack made of quality leather and fabric. 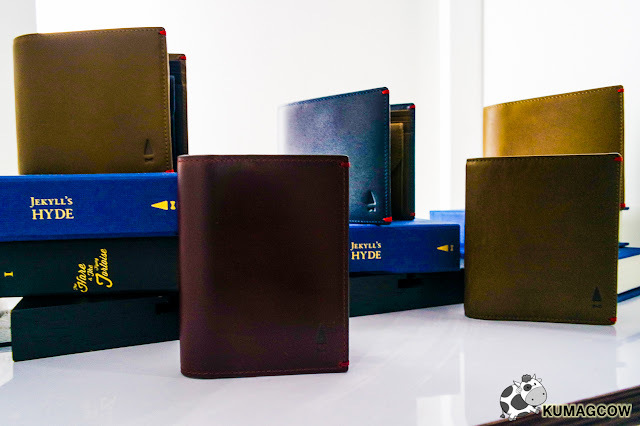 A play on words, these super luxurious leather wallets are called Jekyll's Hyde and the other one is from The Hare and The Tortoise series. Both are lines from a company Singaporean based company called Gnome and Bow. 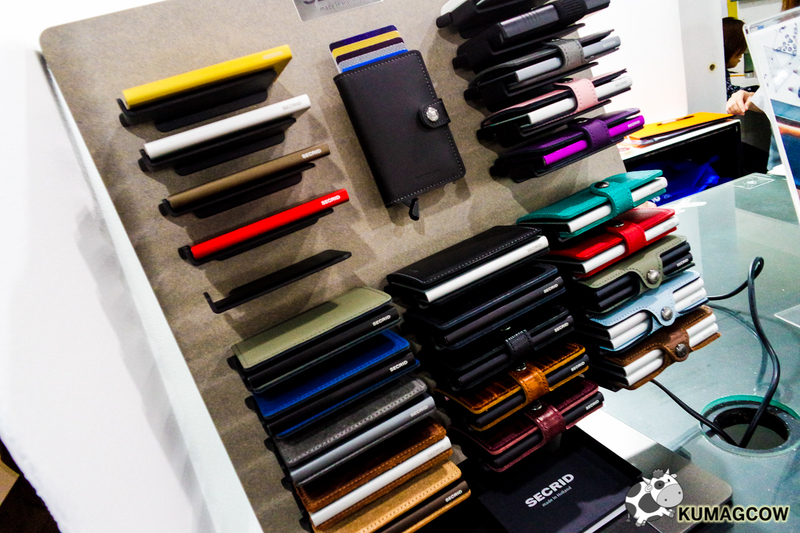 They do bags, wallets, accessories, the whole enchilada and they're pretty good at it. Venque also made this one. I like the contrast between the dark blue fabric and tan leather trim. This one was very attractive on the shelf and had leather plus fabric flaps and pockets. 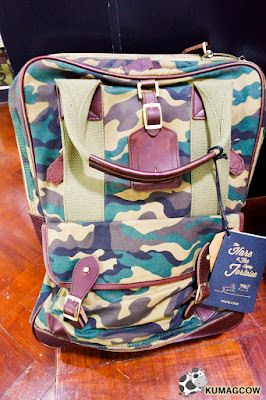 I would LOVE to have this as an everyday bag. 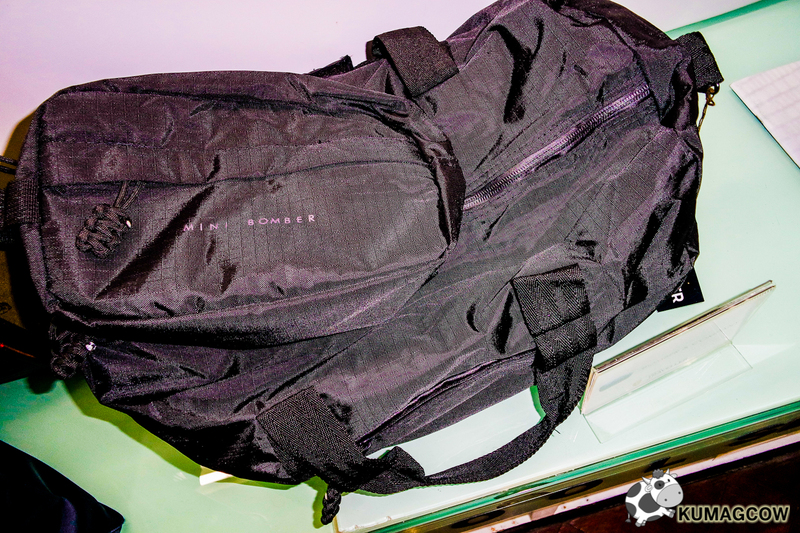 It's like a smaller version of a gym bag, but it really isn't. Though you could use it for that function, pretty neat. For those who would want to have their laptops with them all the time, this would be a good thing. 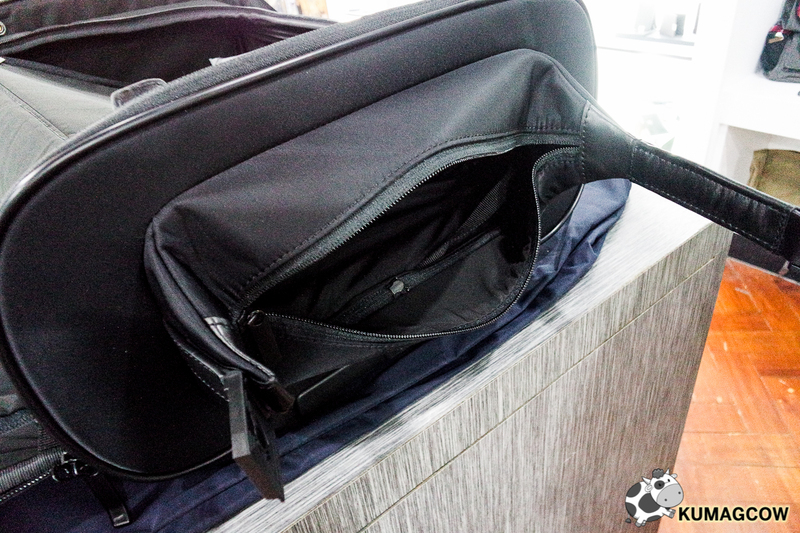 You can also fit documents, a few gadgets and accessories inside without a hitch. You can carry it around like a suitcase or perhaps with a strap like a messenger bag, perfect for most organized people. This one is by Bomber and Company. They've got products like paracords and duffel bags. 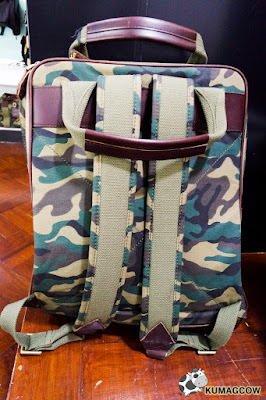 This particular one is the Weekender Bag which includes the Mini Bomber pouch. So for gym, or overnight trips, this would be perfect. The pouch can be used for other stuff like toiletries, or separate soiled clothes if you need to. This is a dream. Rightfully so because it's got an Executive in mind. 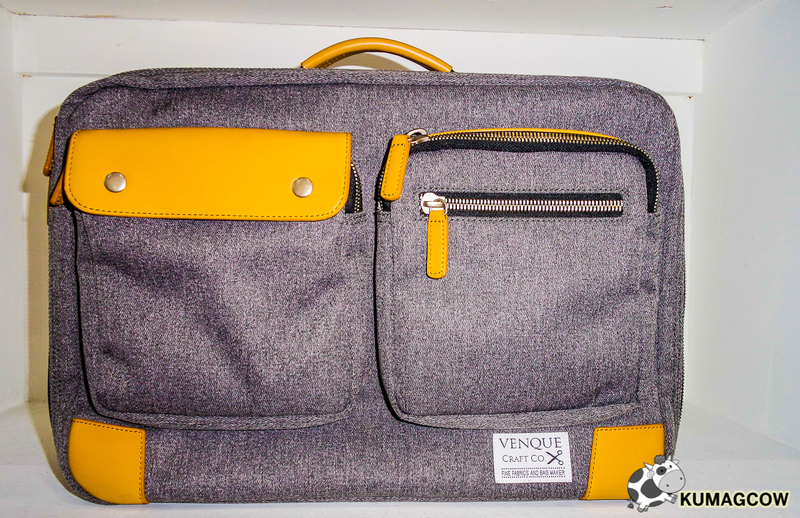 For the traveler who goes in an out of countries for business meetings, this from a company called VOCIER. This is the most awarded luggage system in history and as you can see, they've got all the right reasons why. 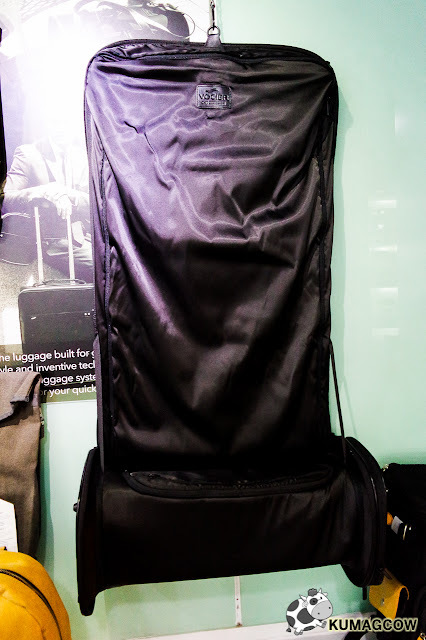 This particular luggage can keep your clothes wrinkle free through a system that gets your coats or jackets neatly inserted on the bag's interior. 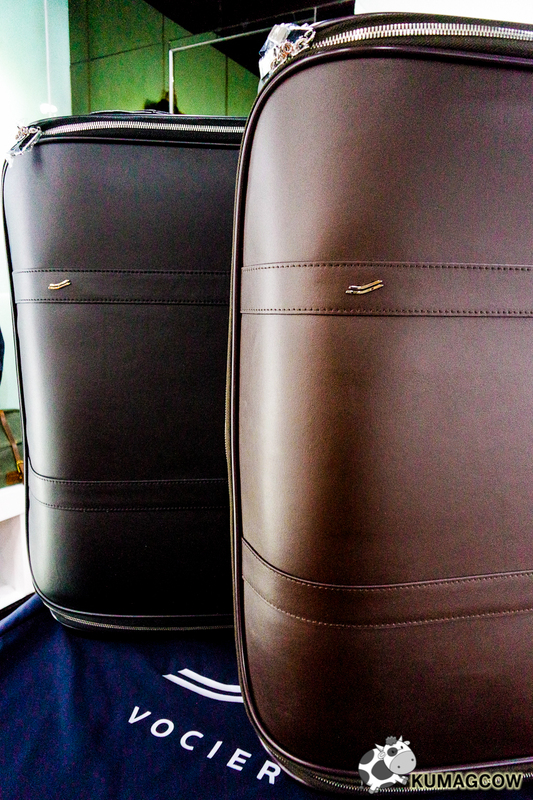 They have this particular model in Black Nylon, Full Black Leather and Brown Leather. If you open the bag, you already have the option to pull this out and hang it on a wall and keep your clothes free from wrinkles without the need for ironing. 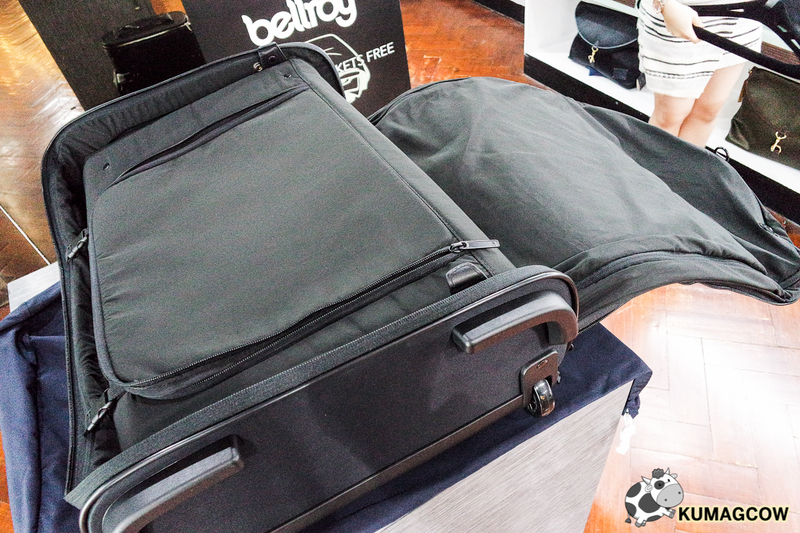 You can even take out the interior structure and make more room for other things like clothes, shoes, documents too. There is an attached bag up top so you can have shoes or travel documents within reach. You can even store this on the compartments with ease. Then when you pull it out, it would look like this! 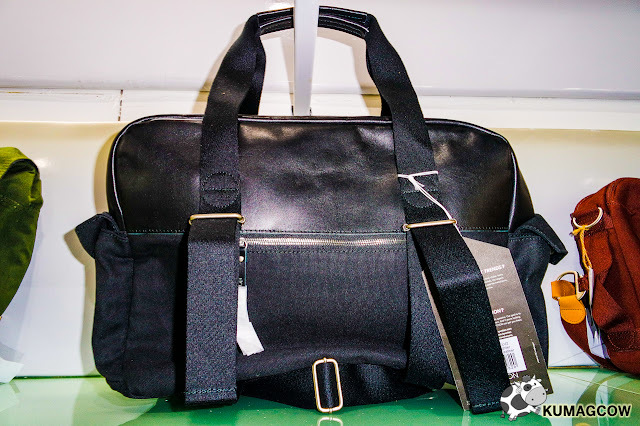 This is their most premium bag in the shop so if you're looking for the perfect bag ever, this is it! 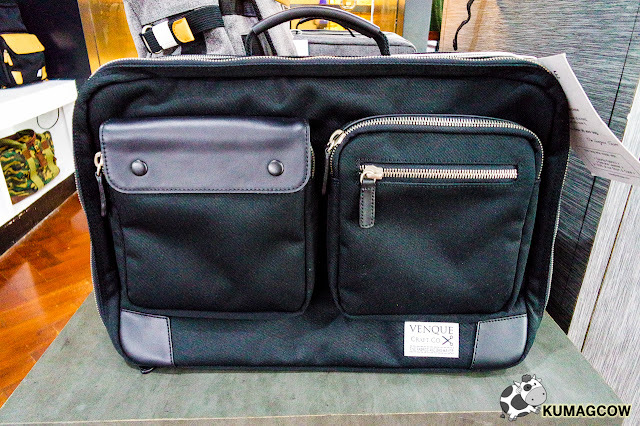 I also found some really good bags that would be perfect for bloggers like me who frequent events and have to keep gadgets in a well padded place. You still have room for more like press releases, small tokens and your handy dandy wallet. I carry around a LOT of stuff so just imagine how you would still look classy with that bulk of material in your bag. This is a necessity. This is my personal favorite that afternoon. This is affordable, looks so good and perfect on me as I do have a black and white theme on my website. If I had something I'd wish for, it would be this. It's roomy, different looking, and color wise, it's me! 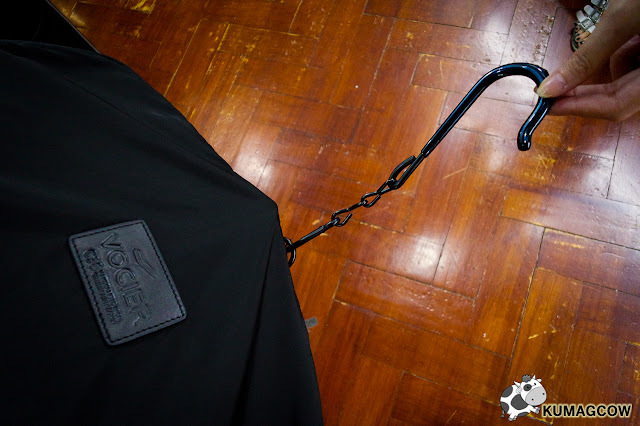 I actually am carrying a black bag now that looks similar to this. There's more! 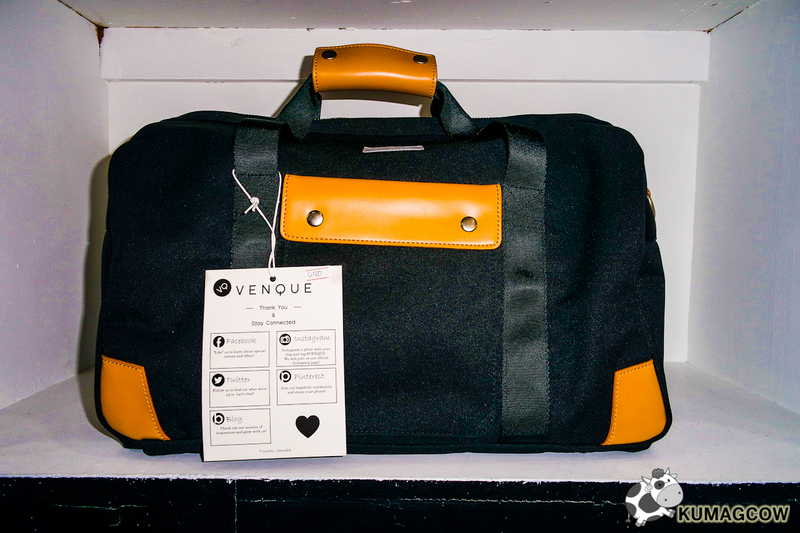 For a more suitcase like bag, without the coldness of leather and metal, VENQUE takes another hit with this one. It's my favorite palette again so as you may understand I'd love this in a second. This one has got a different top, zip it right up and go! Now time for serious stuff. This is the SECRID. It's a European company that has been making these for years. It protects your cards from radio frequency access so you're protected. They use a special material for that and this keeps all your cards neatly in place so if you take it out, just click the bottom and it'll pop right out. Just choose your card and put them all back in on one step. Pretty neat gift for your favorite corporate guy who loves to shop. Or to me too LOL! 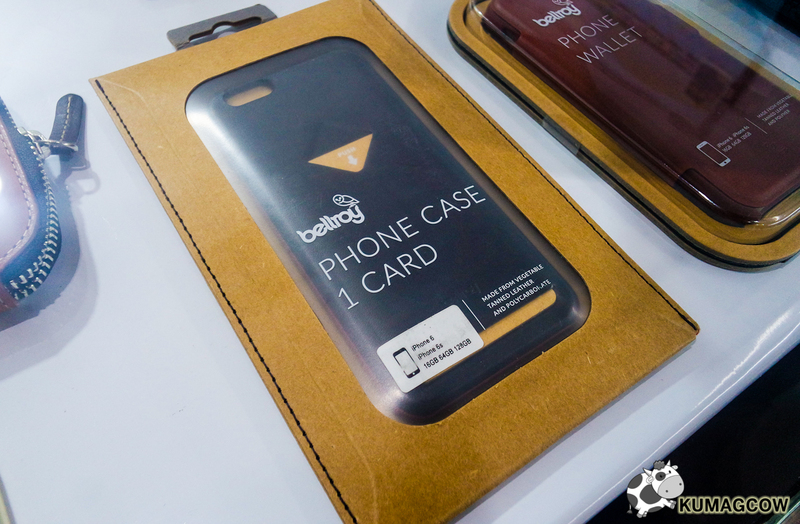 Bellroy has some really good phone cases that you can also get one of your credit cards inside. You don't need wallets all the time so this would be a life saver no? Or if you want your MRT card inside your phone case, this would be the best one for that function. Keys in the pocket? 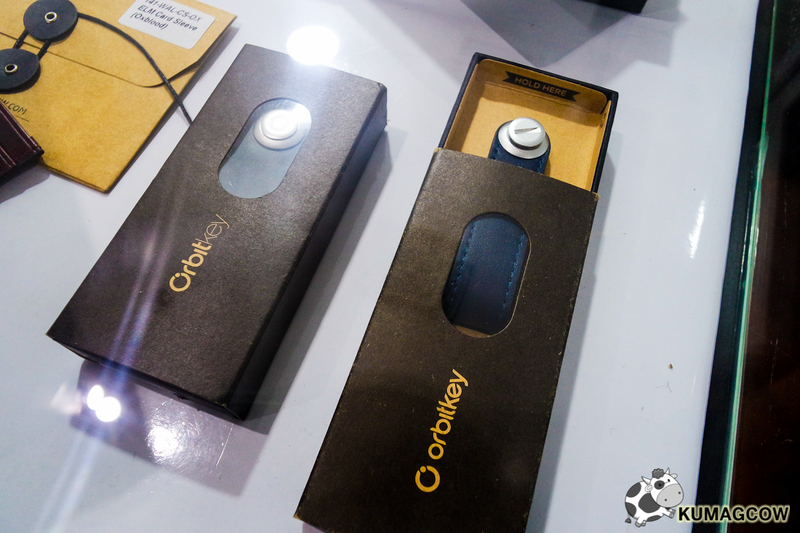 Home, Car, tons of doors, don't worry because ORBITKEY is here! It organizes your keys like magic and neatly places them in line so you don't sound like a debt collector when you're sitting down or walking. What I also like about The Hare and The Tortoise line is that apart from their design aesthetic, they've got the zippers designed with whimsical characters like in the kids stories. If your personality is a little playful, add in English literature in any bag and you've got that look taken cared of. I also like this one in particular because I don't have anything in camouflage. You can always have that look pulled off with this one. 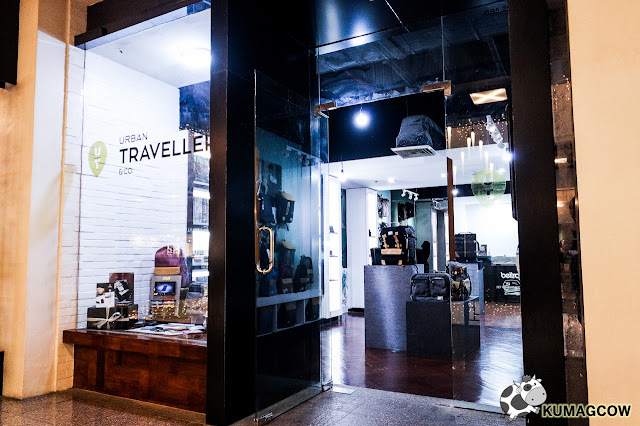 Urban Traveller & Co. carries brands like Venque, Gnome & Bow, Bomber Co., Dun, Archival, This is Ground, Ideal & Co., Akaba, Secrid, Orbitkey, Keysmart, Bellroy, Quistion and Vocier. You don't need to go around the world to look good and get one of these items in the Philippines. No more envy for the Asian guy, because it's all here! For men, there should always be a conscious effort to make a statement because with a man bag, it always tells a LOT with who's carrying it. I may always look at a person's things, his shoes, his bag and could tell right away how they are in person. We don't do that to judge, we just know what looks and feels good when we have it. I've talked to the URBAN TRAVELLER & CO. Founder and CEO Hans Fernandez that afternoon when I paid a visit on their Greenbelt 5 store. Here it is on video, make sure you check out the things he showed us that afternoon. Enjoy! 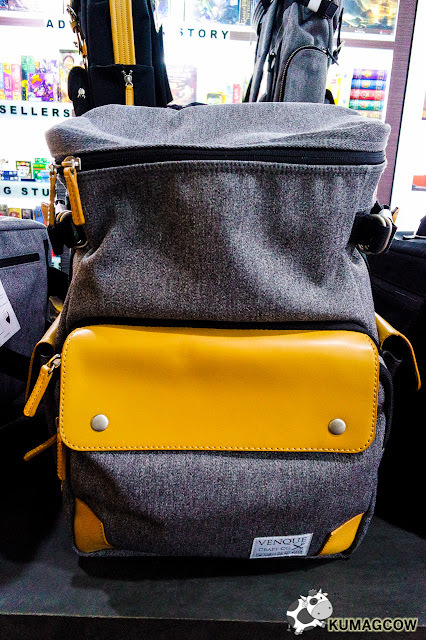 You see, they take a lot of care in choosing what's the best out there and these bags by no means are some of the best I've seen out in the market. I dig what they're doing here, much like a movement of sort to bring forth what's trendy, what's hip and still functional, but never ever forget the fact that one should look good. I hope in this short stint, you got to feel the same excitement as I had when I visited them in Greenbelt 5. 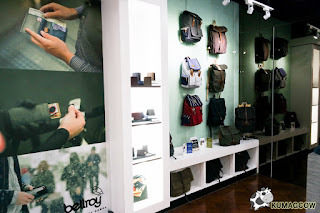 Take a trip down there and check out the items you could buy for your man, for your guy and loved ones. Christmas is after all a great reason to splurge a little and buy your boyfriends, your husbands and relatives something good as they all deserve something special because they've worked hard the whole year.